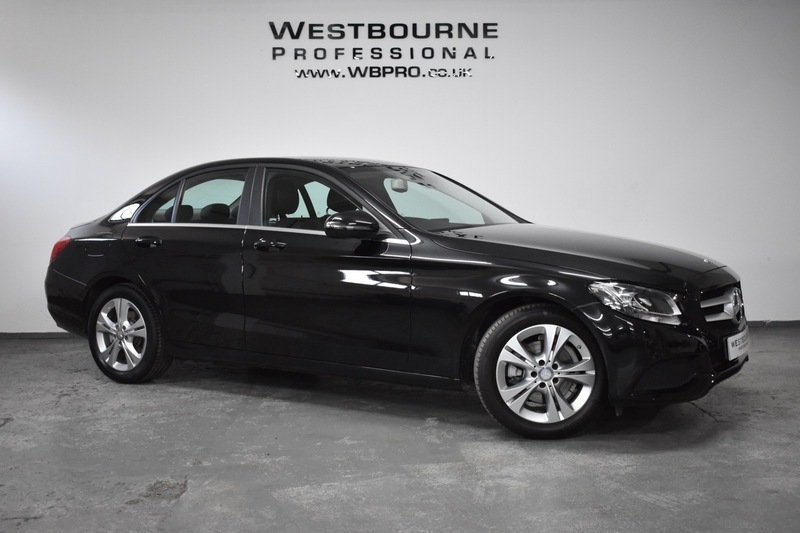 Stunning Mercedes C200 Petrol with superb specification including Leather Seats, DAB Radio, Bluetooth, Reverse Camera, Upgraded 17" Alloy Wheels, Sat Nav Compatibility, Automatic Headlights, Leather Multifunction Steering Wheel, Automatic Dual Zone Climate Control and much more. Supplied fully inspected, with full service history and 2 keys. Presented in excellent condition throughout finished in Black with Black leather interior.